Pomegranate seeds to shower the bottom of the glass. Garnished with Heart Shaped Strawberry. 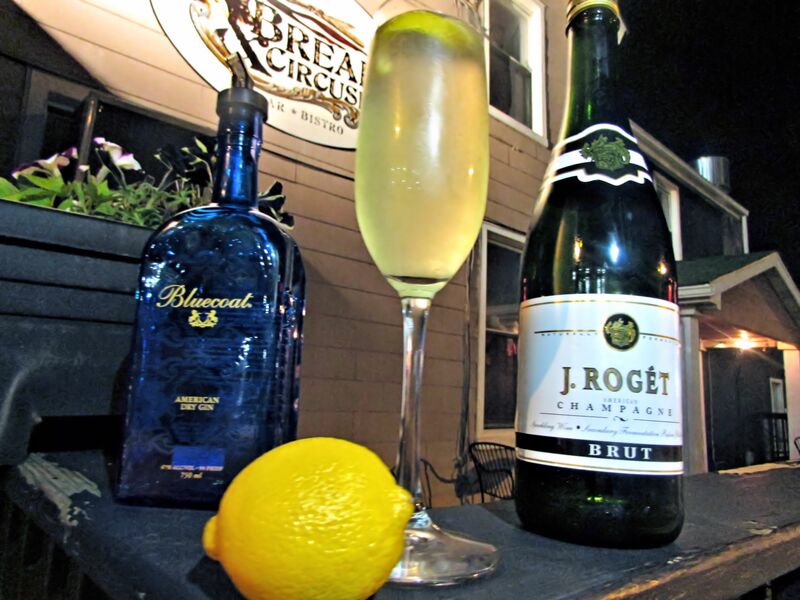 Pour Champagne into in Flute. 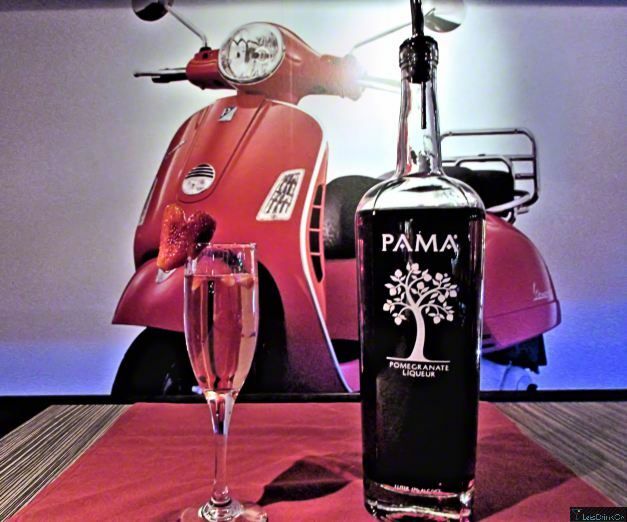 Add splash of Pama to Champagne. Shower the cocktail with Pomegranate seeds. Our bartender in this v is Carmen Motto. Carmen has been in the industry for over 15 years. She won the distinguished award of Best Bartender in Baltimore two years in a row. So one should hope she knows what she is doing. You will enjoy her company as well, she is very entertaining behind the bar.